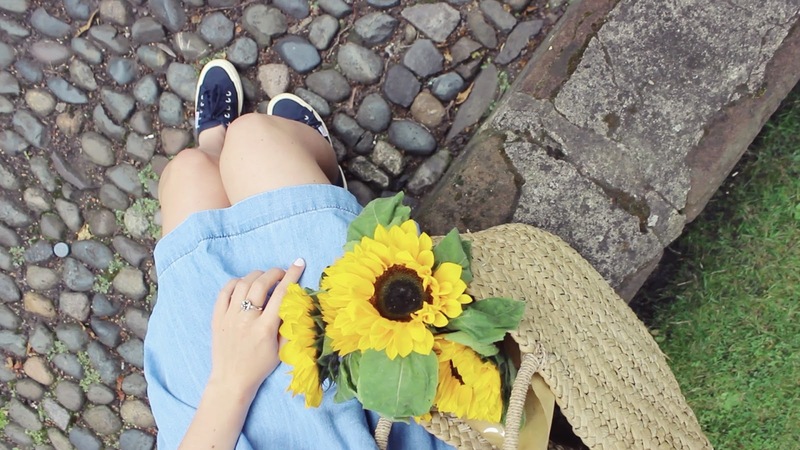 I love my Superga, I have a pair in white and navy and they're so comfy and go really nicely with summer dresses. 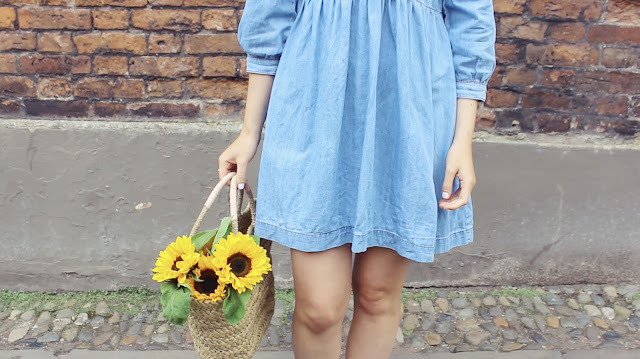 Something a little different than the standard Converse which I'll probably be wearing if not these. 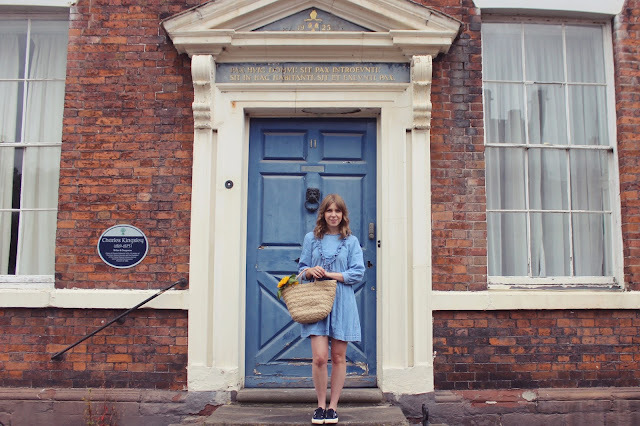 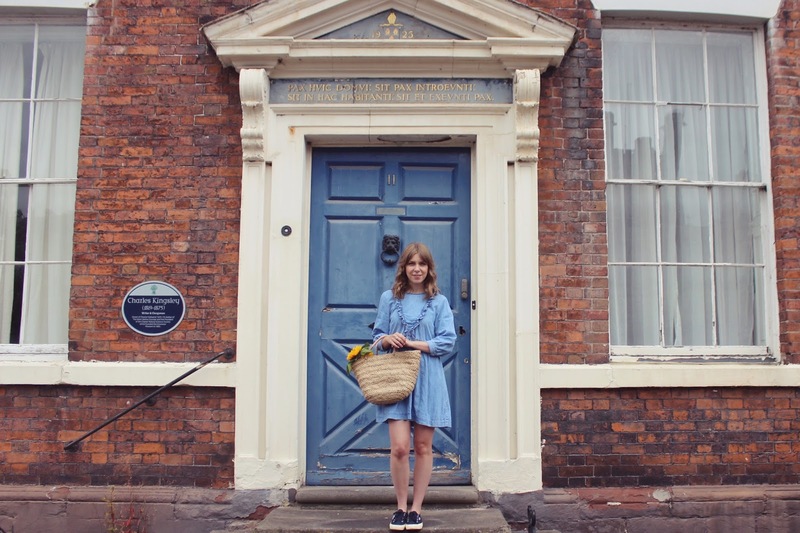 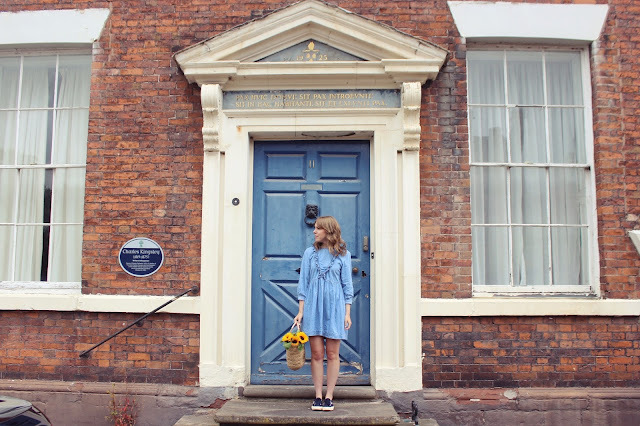 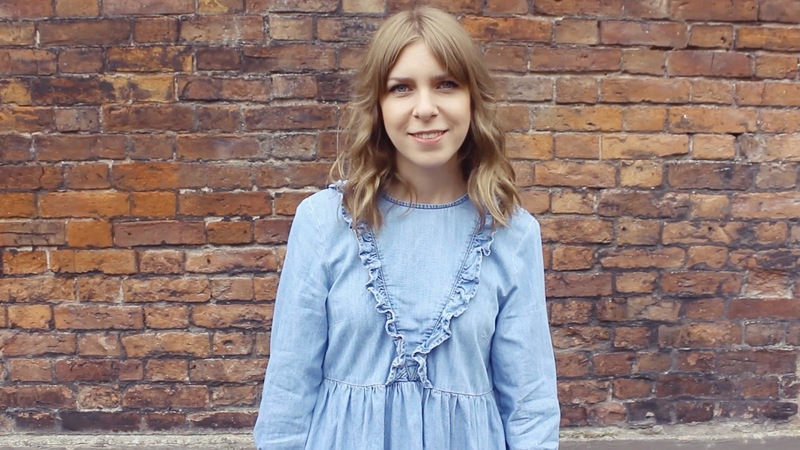 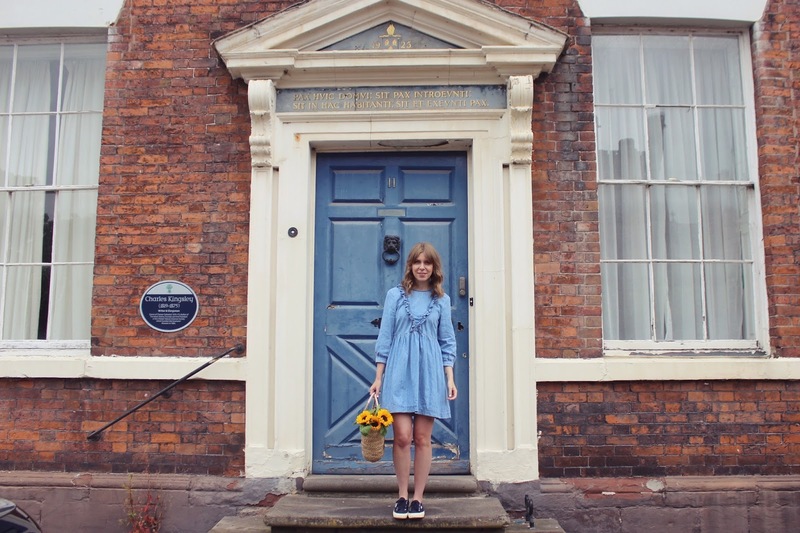 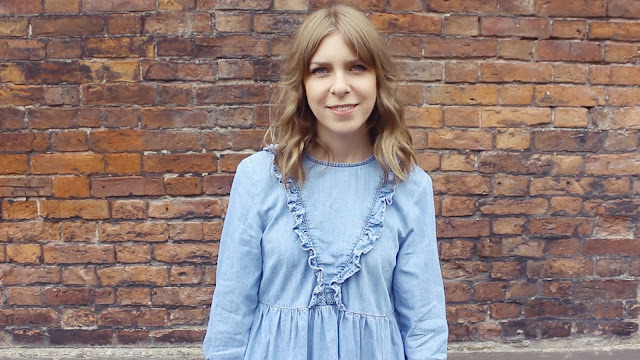 The denim smock dress is really comfortable and made from a soft lightweight denim so it isn't too heavy for summer, and quite a flattering length (I've found most smock dresses are far too short). 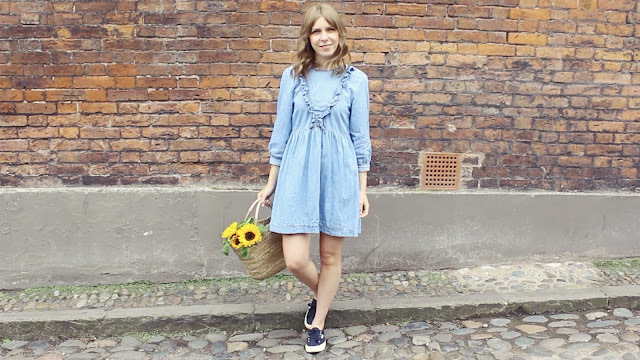 I would recommend sizing down though, I went for a size 8 but I would like it to be a little more fitted. The ruffle detailing is a lovely feature and gives the dress a romantic and Victoriana feel. 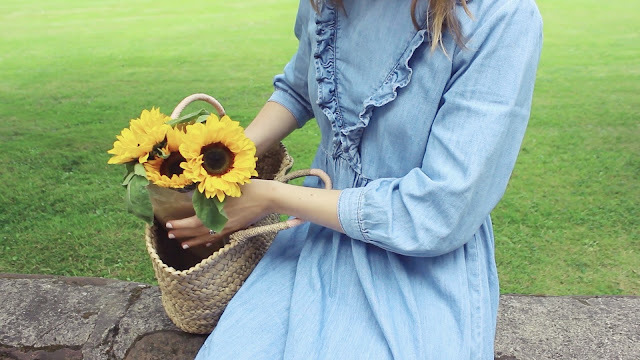 My little straw basket was from Cath Kidston a few years ago, I absolutely adore it and is a staple in my summer wardrobe. 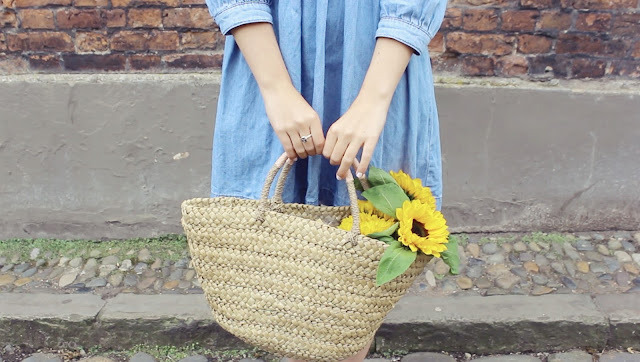 I think I might even try a wicker basket, à la Birkin.